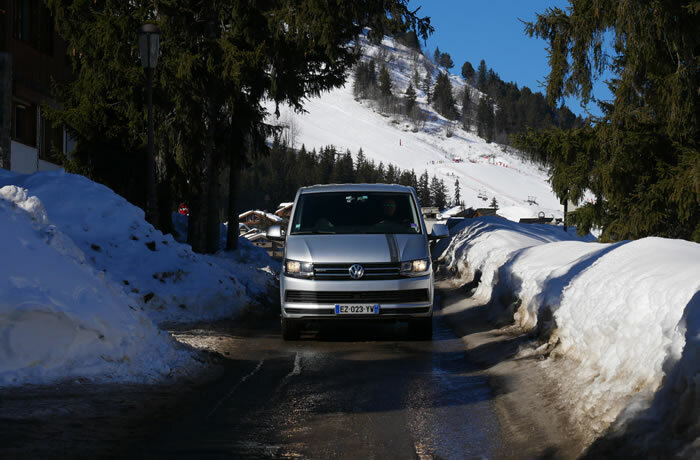 Since our first transfer 18 years ago, we have continued to provide a completely flexible, reliable and professional approach to airport transfers to and from Les Trois Vallées in the French Alps. Our experience during these years has enabled us to become the first transfer company based in resort to offer automated online booking for airport transfers to Courchevel, Meribel, Mottaret, La Tania, Val Thorens and all of their neighbouring villages. We are unique in the fact that as one of the largest transport companies in the alps, we only carry out transfers to Les Trois Vallées, therefore concentrating all of our efforts on knowing the resort in great detail. More importantly, we know exactly where your accommodation is located. We are fully insured and licensed to carry paying passengers with both the French Ministry of Transport and Swiss Authorities. Our English speaking drivers undertake medical examinations to ensure that they are safe to drive in an alpine environment, highlighting our drive towards your utmost comfort and safety. Coupled with this reassurance, we offer comprehensive 24 hour, 7 days a week reliability, incorporating both transport to the region's international airports including Geneva, Lyon, Chambery and Grenoble together with Eurostar and TGV rendezvous at Moutiers. Our private transfers give you the guarantee that you will not be waiting at the airport for the 'one remaining late passenger'. New for the 2011/12 season was the implementation of our Shared Transfer Scheme. We recognised the need to get to resort as efficiently as possible but up until then, this had been incredibly difficult if travelling alone or as a couple. Our proven online booking system now enables you to travel on a shared minibus at the fraction of the cost of other transfer companies operating within the 3 Valleys. We have up to five shared transfers to and from Geneva each day. Our staff are dedicated to making the often tedious part of your holiday as enjoyable as your time spent in resort. Whether Courchevel, La Tania, Meribel or Val Thorens, your driver will see you to and from your accommodation in absolute comfort and style. The Volkswagen Caravelles and Skoda Octavia Scouts used in our fleet are all 4x4 and fully air conditioned. We have even gone so far as to add a Land Rover Defender 110 XS based within resort to ensure your smooth arrival at even the hardest chalets to reach. Please take a look at the information contained within the rest of our pages but if there are any further questions we can answer please don't hesitate to contact us. 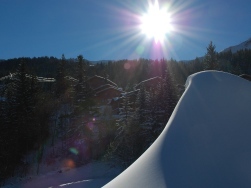 In the meantime, I will take this opportunity to wish you an enjoyable holiday within Les Trois Vallées. I hope to see you on the slopes very soon... if not at the airport! Click HERE for information on how to book.